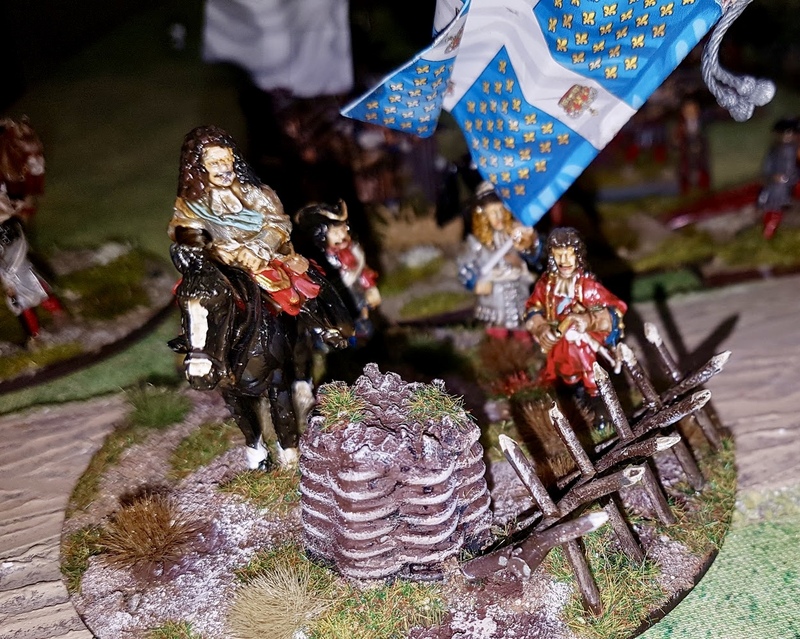 Carryings On Up The Dale: The Wars of Louis XIV - Somewhere near Seneffe 1674, A narrow French win! The Wars of Louis XIV - Somewhere near Seneffe 1674, A narrow French win! John the Red had planned a day off work yesterday so we'd agreed to have a game. It's been ages since I had given my 1672 French and Dutch an outing so I put the entire collection out on the table. The French were fully deployed but I put the Dutch and their assorted Imperial and Spanish allies in line of march, not yet deployed for battle, but a quick right face would solve that problem.......hopefully. 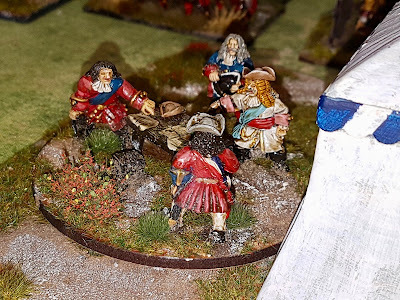 We used Pike and Shot with the late 17thC amendments plus a couple of 'house' rules which I wanted to test. We diced for sides and John got the Allies. 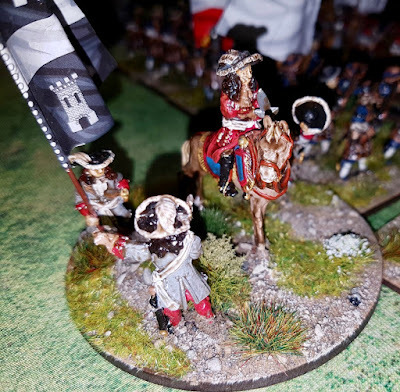 He also got to move first and most of his troops at least managed to deploy into line facing the French. His leading cavalry brigades even managed to advance across the table. 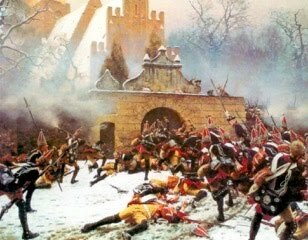 I'm not giving a blow by blow account of the battle. Suffice to say it was a hard slog. 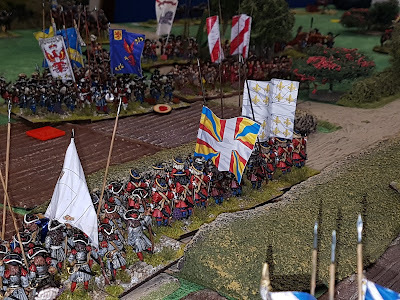 The French left, including the Maison du Roi, was battered and bested by the Imperial and Spanish troops facing them but the centre held firm and was winning the fight against the Dutch. 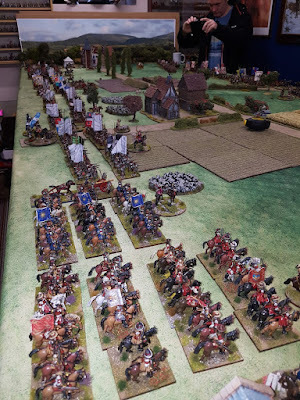 The Allied army on the march. 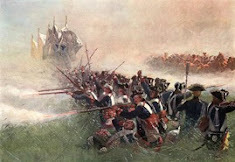 The French army deployed for battle. 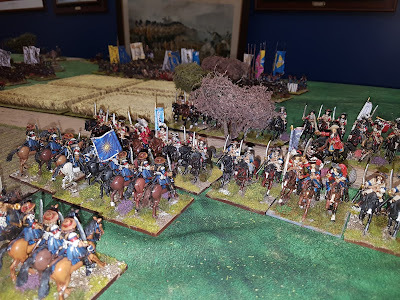 Early in the game my Cuirassiers du Roi charged the Dutch cavalry. 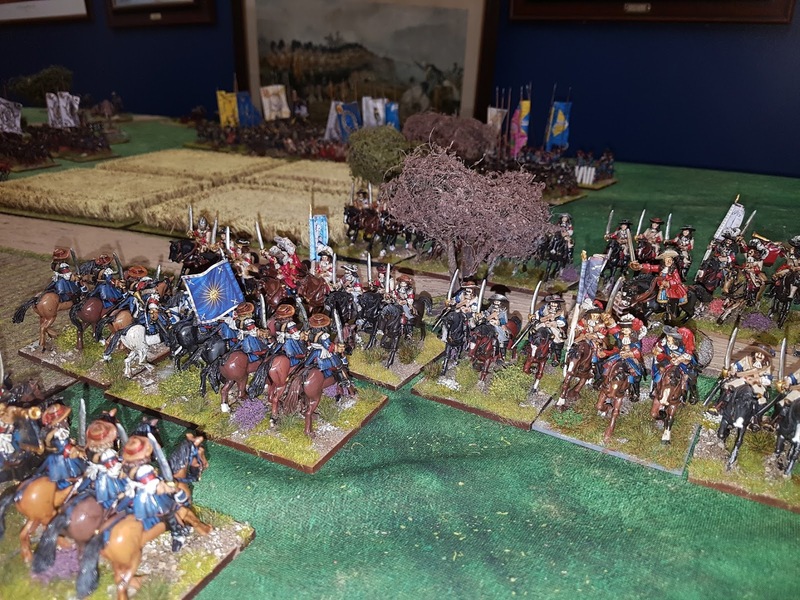 A long swirling melee developed with more and more squadrons being committed but neither side was broken and by the end of the battle the remains of both sides' cavalry were still facing each other, although to be fair the Dutch had suffered more and had given up a lot of ground. 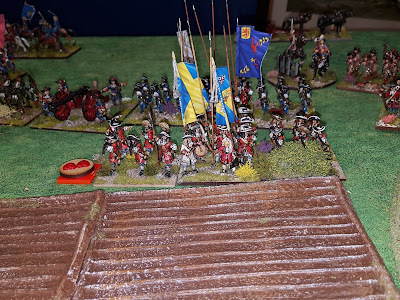 In the centre the Dutch were held up by French artillery and then by a heavy outpouring of shot from my French lining a hedge and the sunken road. John never did manage to get the Dutch centre sorted and ultimately several battalions collapsed, leaving a large hole in his line. The Gardes Suisse and Gardes Français in the French centre. 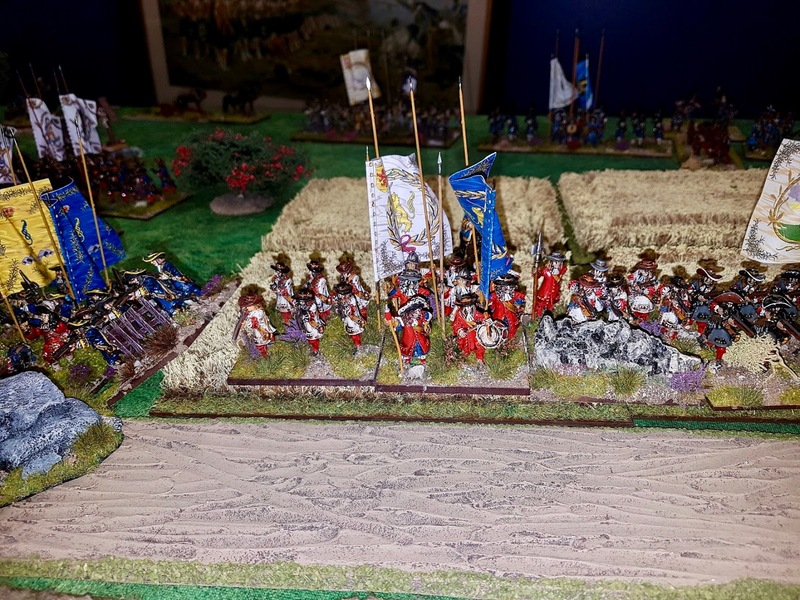 The latter were exposed to withering fire from several Allied battalions and artillery and eventually they failed a break test (they were on minus 4 for excess casualties, under artillery fire and disorder) and ran away. The shame of it! "Monsieur". Prince Philippe I Duke of Orleans, the French Commander. The Cuirassiers du Roi clash with the Dutch Horseguards, who are supported by the Lifeguards and the guard dragoons. The French are forced to retire but the Dutch are too badly damaged to follow up. 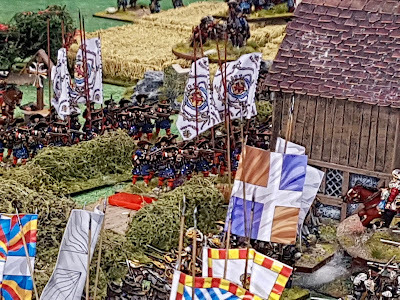 The Dutch left wing infantry creep very slowly forward. 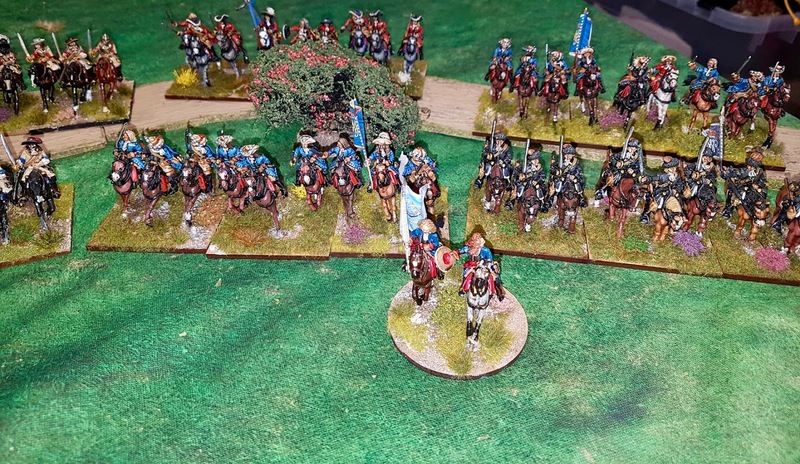 The French left: The Maison du Roi in the form of three squadrons of Gardes du Corps, a squadron of Horse Grenadiers and another of Musketeers of the Guard. 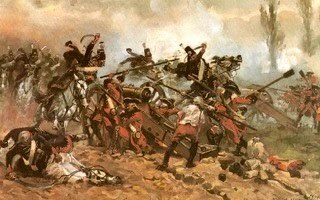 To their flank are five regiments of dragoons. 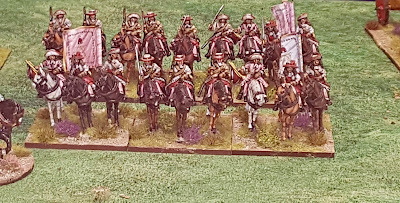 The Dutch right, two squadrons of Imperial cuirassiers and two of Dutch horse (which I shall be re-flagging as Spanish this weekend). The Maison du Roi taking a bit of a hammering from the enemy artillery. In the centre the Dutch Footguards begin an assault on the village but are unable to break in. 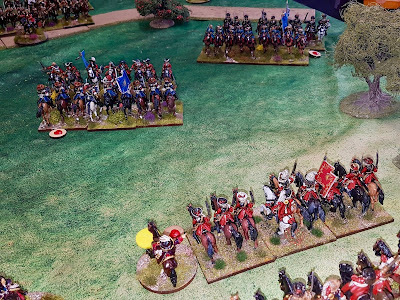 The Musketeers are shaken as a result of straying too close to the Spanish artillery and are about to be charged and broken by the Imperial cuirassiers bearing down on them. 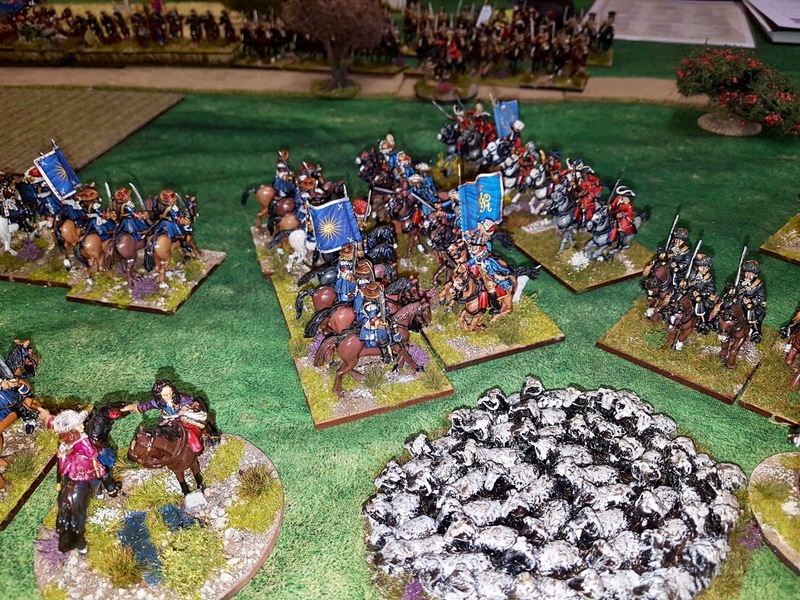 The commander of the French right wing failed all but two command rolls and also blundered backwards to the table edge. 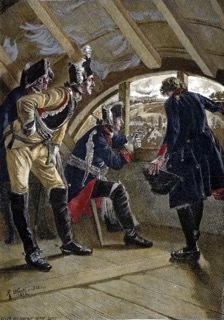 Marshall Turenne looks on, leaving the command of the battle to Prince Phillippe. Meanwhile, back at the camp, Allied commanders ponder over the choice of wine with supper. 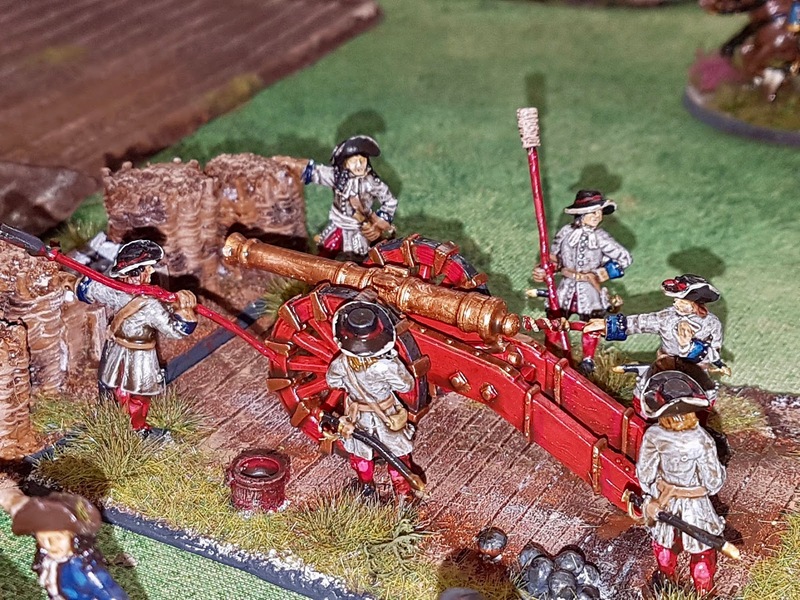 One of the French guns which ended up packing up early and going home as they were masked by my advance in about turn 3. 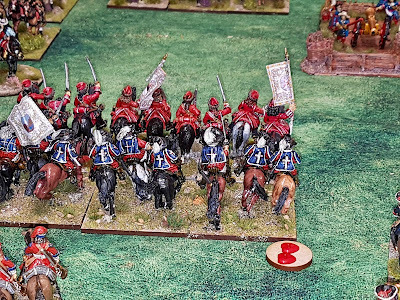 Unenthusiastic Dutch horse facing the French left. When they were charged by the French Maison du Roi they were beaten but not broken. 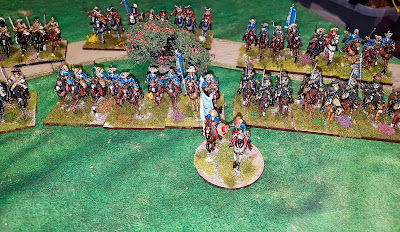 Back on the French right the Cuirassiers du Roi are fighting the Dutch Lifeguard. Four squadrons of French Chevau-Legere remained rooted to the spot and failed to provide any support. Thankfully the melee was inconclusive and both sides withdrew. The much battered Dutch centre. 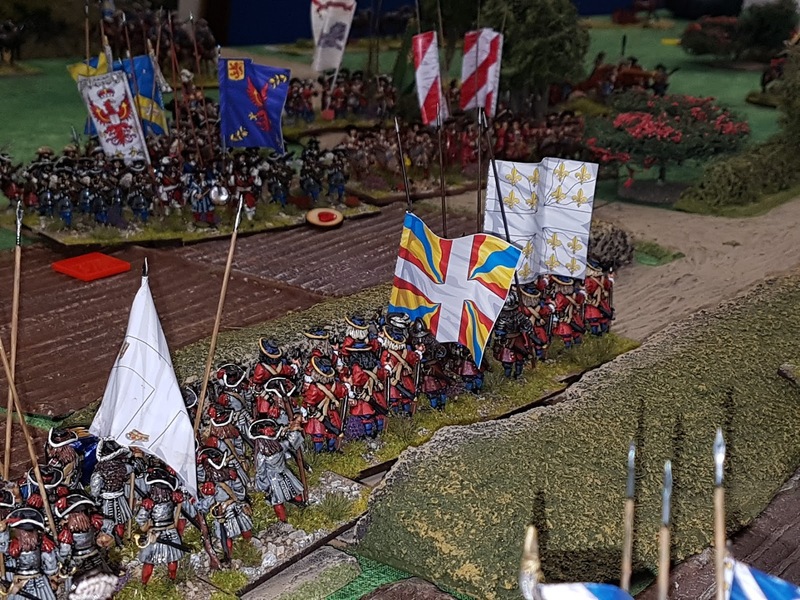 In a moment of madness I threw caution to the wind and charged the end battalion of Spanish with two squadrons of Maison du Roi. 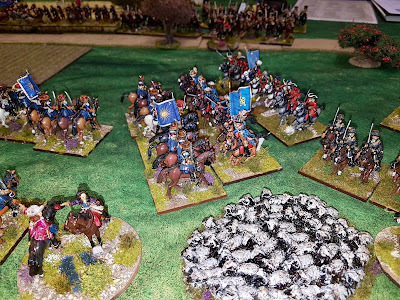 I survived the closing fire but the melee ended in a draw even though the Spanish were shaken. They passed their break test and I had to pull my cavalry back. SO close but..... In a subsequent move my dragoons overran the Spanish artillery thus getting rid of an annoying source of 'disorders' for my cavalry. 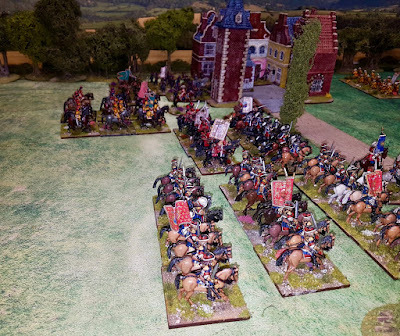 At a very inopportune moment this brigade of Dutch horse threw a blunder and retreated to the edge of the table. 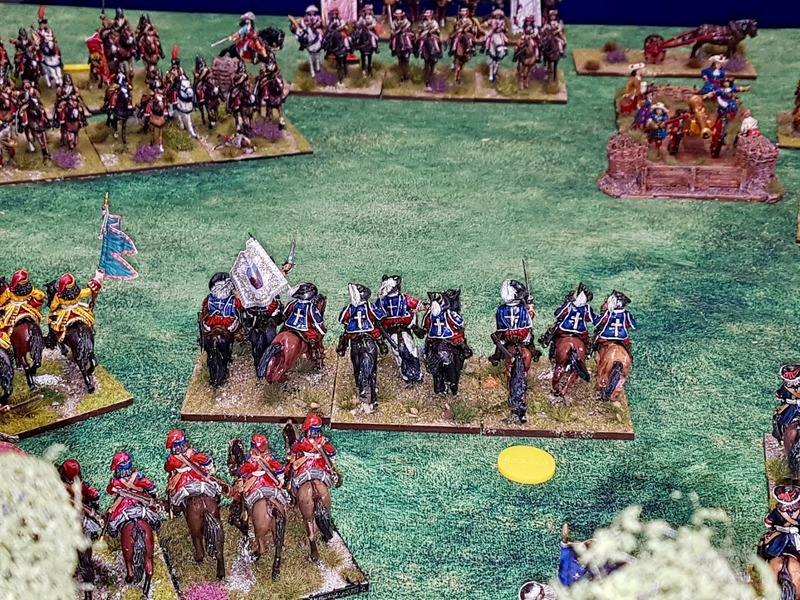 Here we must leave the pictorial account of the battle as I got so engrossed that I forgot to take any more photos. As it was the game ended soon after this point with the Dutch left wing horse pushed right back to the base line while the centre was starting to crumble quite quickly leaving a few rather large holes in the line. 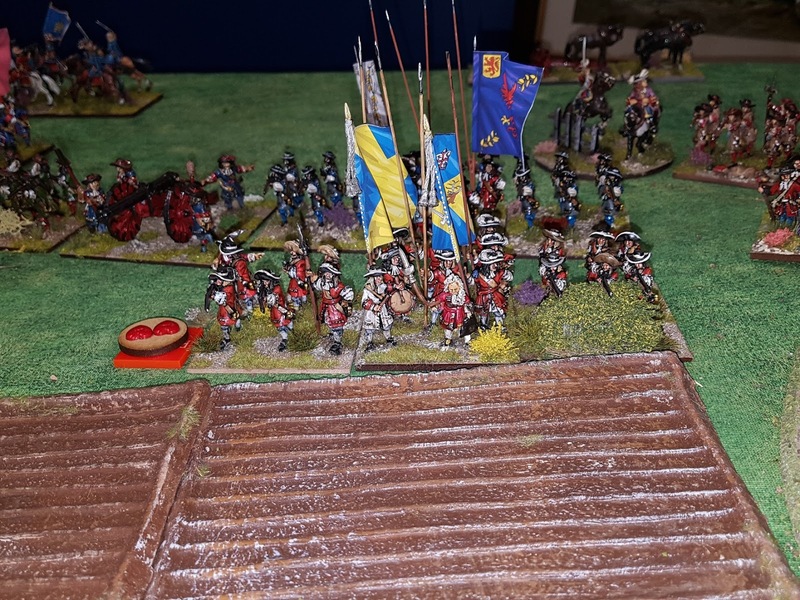 The Dutch Guard's assault on the village had been beaten back and one battalion Guard had been broken, and the French centre was pretty much intact, if immobile. 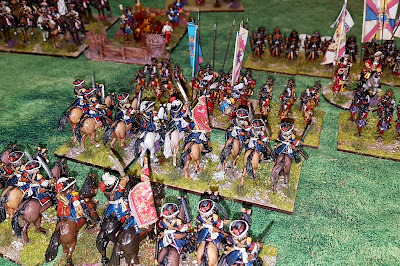 On the French left however, the squadrons of Maison du Roi had been bettered by the enemy but the flank was in no danger as the Spanish were pretty much a spent force, as were the remaining cavalry. So, we agreed it was a French victory of sorts. 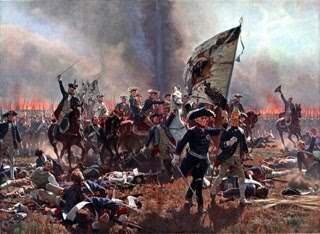 No brigades had been broken but the Dutch had lost more units destroyed (5) than the French (deux). Beautiful flags flying above wonderful units...what's not to like? The pikes should have a health and safety warning on them! 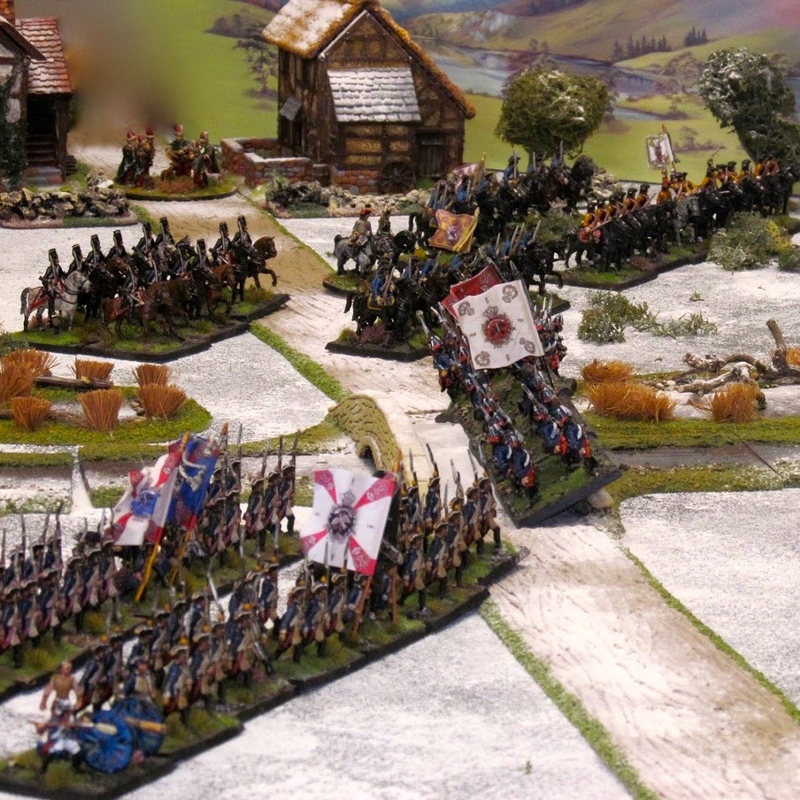 As always, a great looking game, which reminds me I recently bought two 10mm armies for some late 17thC games. Thanks. Isn't it! 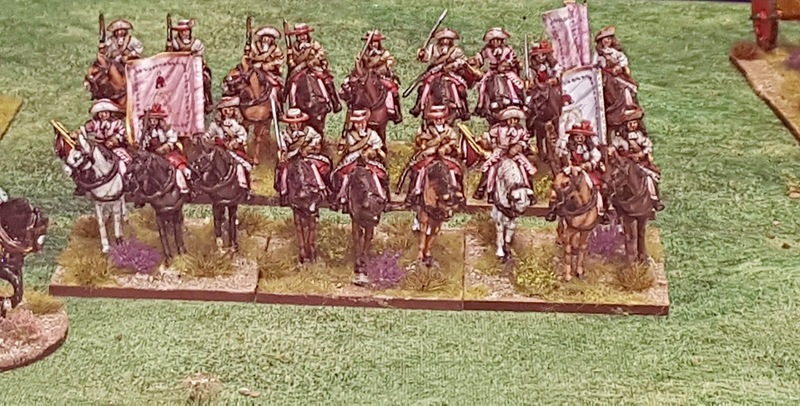 My favourite pair of armies. 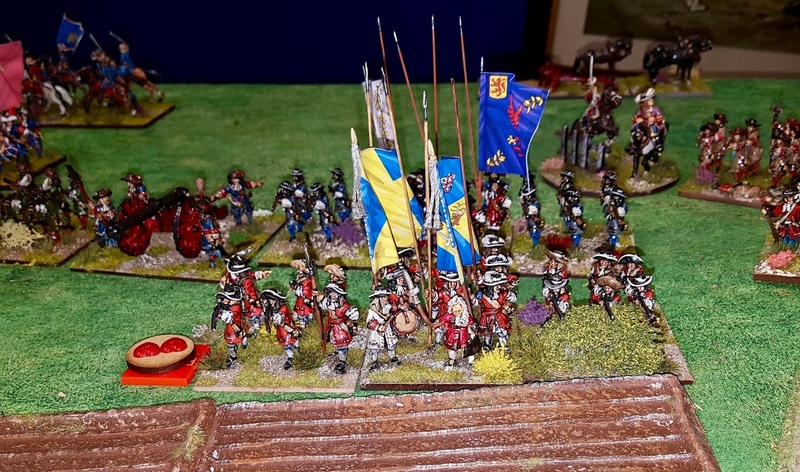 Johan Das Rott - another hard fought and colourful battle. 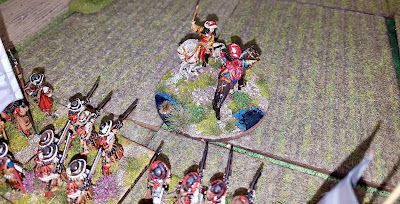 Swinging smoothly into line after the initial surprise of finding the Sun Kings army on the flank emerging from the mist, turned out to be a high point.Psychologically we felt on the defensive from the start, even when a more agressive approach, certainly on our Left may have been more productive. 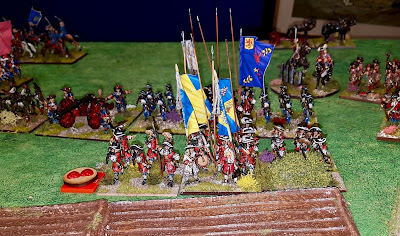 Seeing off the Gardes Francais, a bugbear of former clashes was nice but losing part of my Dutch Foote Garde less so!. Withdrawing battered but still entact, would in the circumstances be both historical and acceptable outcome for the Dutch. A sharp discussion with the scouts perhaps required. BP Pike and Shotte worked well and gave period flavour. We discussed dropping the short range +1 for pistols, given by definition they were (very) short range. First game for long time where no brigades/battles were broken. The use of two lines and feeding in reserves by both sides certainly aided that. 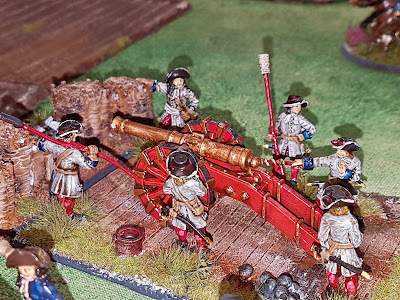 Think I will keep the +1 for pistols but give a -1 if the unit is charging. Yes, I enjoyed using P&S again. Less cerebral than Impetus Baroque and certainly easier to pick up. Better for multi-player games as well. 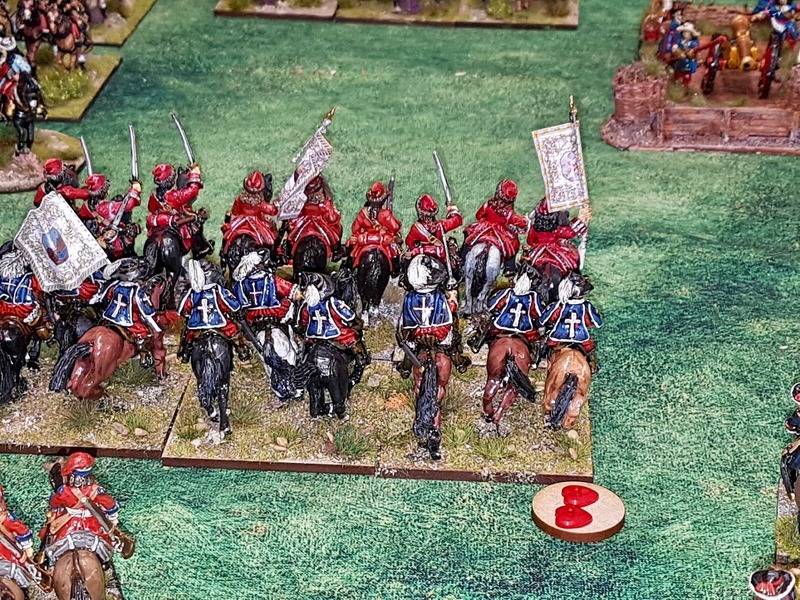 As for the Gardes Francais, there are another 5 battalions lined up waiting for next time! Great looking game! Good to see the French get a win, I thought this time period before WSS was when the French were at their best historically?